Election: APGA South Africa congratulates Obiano – Royal Times of Nigeria. The South Africa chapter of the All Progressives Grand Alliance (APGA) on Monday called on losers of Saturday`s governorship election in Anambra to join Gov. Willie Obiano`s administration. Mr Henry Onyekumnaru, its chairman, told the News Agency of Nigeria (NAN) on the telephone from Durban, South Africa on Monday, that Obiano`s victory was overwhelming. “ It was a very good one. I led an APGA delegation from South Africa to join Anambra people in ensuring that the party won the election. “ Its a very happy development and we are overwhelmed with the support Anambra people gave to our party,” he said. Onyekumnaru, however, called on candidates of the other parties to join Gov. 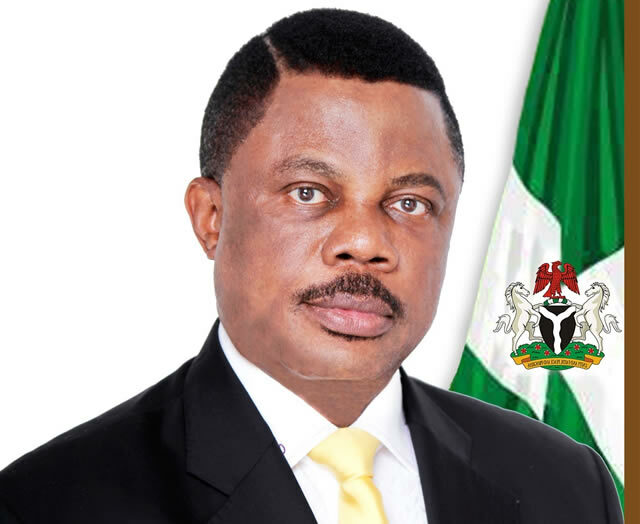 Obiano`s administration in the task of developing the state. The chairman urged the governor to carry along everybody, especially opposition candidates by giving them a sense of belonging. “ The governor should also ensure that promises made are implemented. We urge him to continue with the massive roads being built and other infrastructures and remember to carry along, candidates of other parties in the election,” Onyekumnaru said.